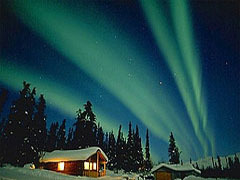 Experience Denali Park in Winter! Denali Expeditions is the only concessionaire licensed to operate overnight trips in the interior of the Denali Park Wilderness. Mush to spectacular Wonder Lake and along the park road corridor - no one else can get you closer to the magnificent North Face of Mount McKinley ! 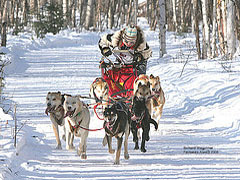 Our trips are fully interactive and Denali National Park provides many options for dog sled travel. From river bars and mountain passes to the Alaska Range glacier system, you will see a piece of wilderness most people will only see in the pages of magazines and books. 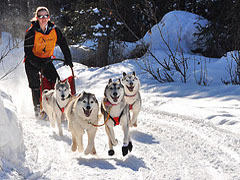 For the fans of the book or movie "Into the Wild", we are offering dog sledding trips that go to the Sushana Bus along the Stampede Trail. You can choose to visit the bus, or camp nearby.